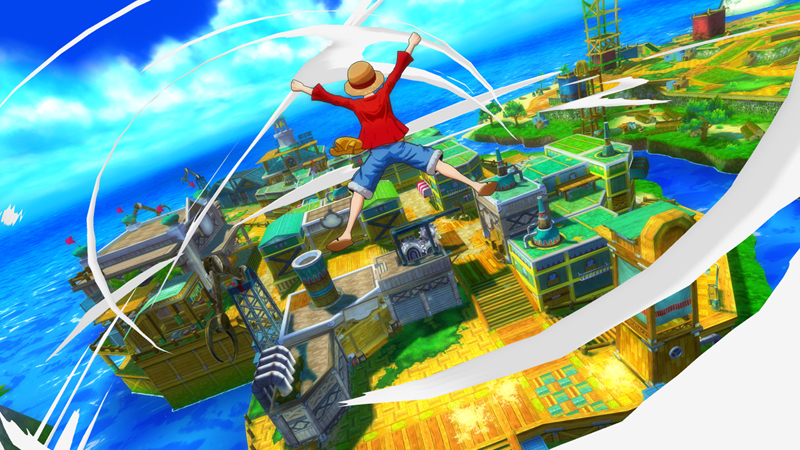 One Piece, the popular manga/anime series returns to present us with a new installment of their game franchise. This time however, we’re treated to an original adventure that sets sail on our handhelds and consoles. Luffy, Nami and the rest of the loveable band of pirates dock at a small island with a small village that goes by the name of Transtown. They have come to this fairly far off place to drop off a guest on their boat, namely the small raccoon-ish critter Pato. This small furry character wants nothing more than to go home, to the person he calls his boss. It does not take long before our merry band of pirates decides to explore the island separately, whilst Luffy goes around wandering carelessly. In the meanwhile he already finds himself some troublemakers, which he simply can’t resist teaching a lesson. When doing so he meets the innkeeper that offers him a free place to stay if he decides to help her with a thing or two, namely the development of the town and getting rid of several things that have been stirring up the place. Soon Luffy discovers his companions have been kidnapped and it’s time for him to go on a rescue mission. This will lead him to places that could not possibly be on this island but weirdly enough they are. He has been on these places before but something seems off. The evil Red Baron gets introduced in this story as an original legendary figure. It seems this dark pirate is on par with other big names such as Blackbeard and many others. It seems Luffy and the band of do-good-pirates have gotten themselves in another pickle. You’ll be able to enjoy the story portions of the game in a way that stays true to the series or the manga, making each episode feel a bit like a real airing episode. The fact that it’s an original story will also serve as a great chance for those who are not familiar with the series, to dive in the world that is call One Piece. That being said, the game is still directed towards those who already know the leading characters, seeing you won’t get any background on them. 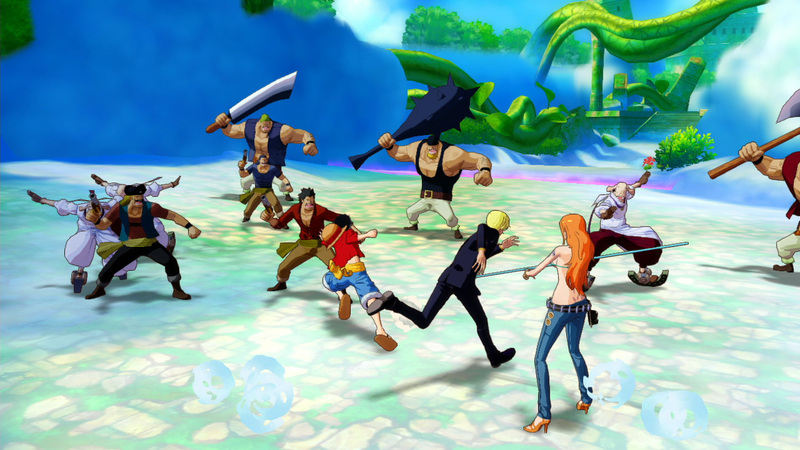 Graphically One Piece Unlimited World Red brings up mixed feelings. Whilst the characters look as if your favorite manga/anime characters received an extra dimension, the areas sometimes lack a certain amount of detail. The town itself is filled with NPC characters but invisible walls and fairly simple looking buildings drag down the feeling of quality by just that little bit. 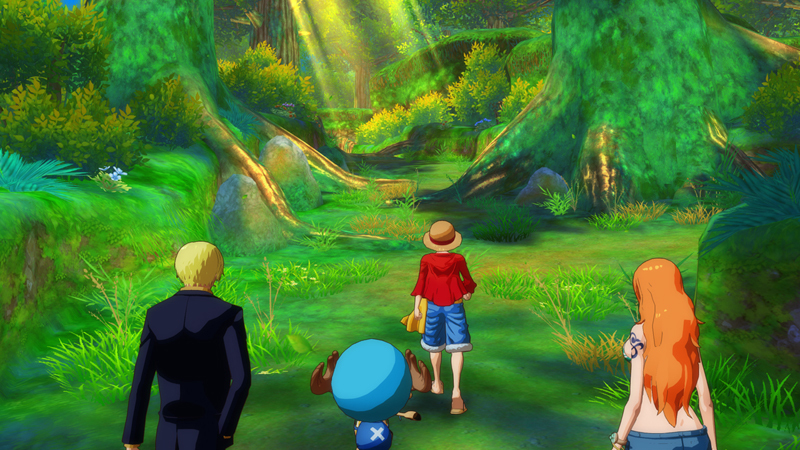 One Piece Unlimited World Red keeps the comical feeling intact and in the end that’s all that counts. When it comes to the overall sound quality, the game proves to be a delight. The voice acting is superb with the original voices and rest assured, a lot of the dialogues as actually spoken. The music is authentic but tends to loop a bit too much in certain places. Whilst some tunes are great to stay afloat in your head, others would be better to drowned out after a while. 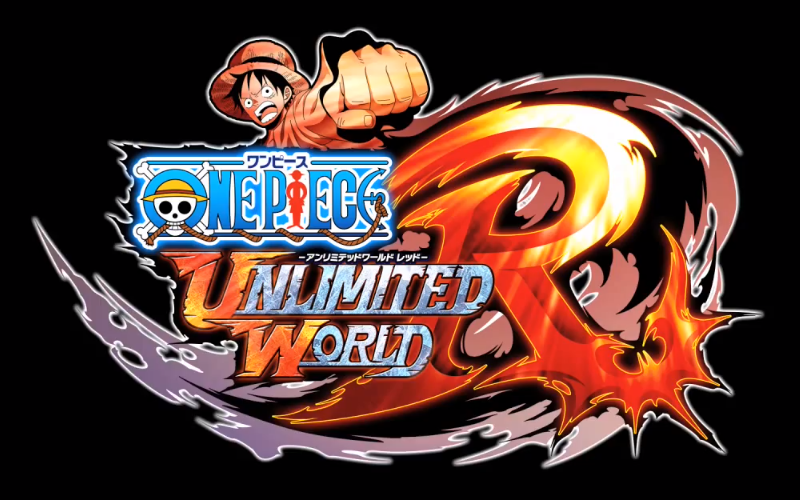 One Piece Unlimited World Red is an all out action brawler, the likes of the Dynasty Warriors games. You’ll fight your way through several levels in which you’ll just beat your opponents senseless until you’re able to progress. During the story mode you’ll be able to fight your way through nine different episodes, which always end up having the same goal. Clear the areas of specific enemies to progress through the blocked passages and kill the stage boss. 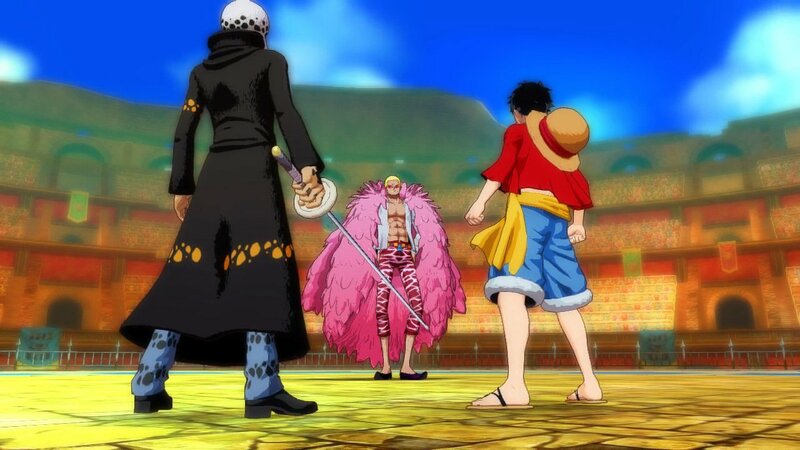 The normal episodic missions will allow you to handpick a team of three straw hat pirates, each with their own set of skills. You’ll be able to choose out of nine characters during the normal missions. All of these characters end up being easy to control and the variation of different play styles creates a fun change of pace. Some characters are typical close range fighters, which rely heavily on their combo’s, whilst others have specific skills such as building a turret or shooting enemies from a first person perspective. It’s also good to bear in mind the fact that certain areas and events in levels can only be unlocked by specific characters. When playing through the missions your characters will also receive experience points to make them more powerful. Whilst the game will not give you ‘real items’ you can equip, One Piece Unlimited World Red uses a ‘Word’ system. This system is comparable with passive and active skills, namely the ‘Custom Words’ and ‘Item Words’. The Custom Words will boost your basic stats, whilst the Item Words need to be activated to activate their effect(s). During the different episodes you’ll often need to track down certain words to unlock the next passage, which will lead you to the next area. The hub, named Transtown, will provide you with a lot more to do other than a save point and a resupply point for consumables. You’ll be able to help develop the town by using your spoils of war to open new shops, in which you can buy new items, upgrade certain items of upgrade your characters. For example, food will help you upgrade the basic stats of your characters, the factory can help you create better fishing or animal/bug catching gear and a pharmacy can help you cure what ails you. Transtown will also provide you with several mini games which you can play at any time. These mini games will get you pirate points which you’ll need to unlock certain side quests, which you can find in the local tavern. Content is plentiful in One Piece Unlimited World Red but sadly it comes in the form of side quests and mini games. The episodes themselves will only keep you occupied for several hours, whilst the side content offers you a lot of endgame content. These side quests often consist out of gathering certain items in already completed levels, which will in turn also help you gather other items to help developing your town. Other side quests are Boss Quests, which are also in areas you have already cleared. These quests are simple search and destroy missions. 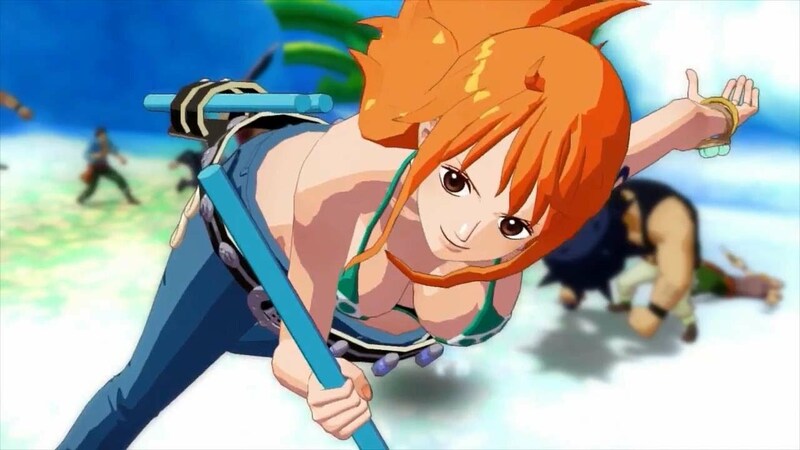 The only catch about these missions is that they have to be unlocked through the Coliseum mode and they allow you to pick other characters than the nine straw hat pirates. The Coliseum mode is an extra mode in which you have to fight your way through arena battles in order to rank up. You start at the bottom of rank C and you have to make it up all the way to rank A. Each of the cleared stages will credit you certain amount of points, which will slowly make you ascend through the three ranks. During this mode you’ll be able to choose other characters than the ones you’ve playing during the story mode. You’ll have to unlock these characters by completing several challenges throughout the Coliseum missions. This mode proves to be great for those who are also aiming to unlock several extras for the story mode, as well as those who just love to try out some new characters that star in the One Piece series. Having played the Wii U version it’s clear that the game was originally designed for the 3DS handheld system. You’ll never be able to display your map on screen and thus you’ll constantly have to pause your way to find the right way to head towards. Whilst the Wii U’s gamepad would be great to display your map, for some reason the developers did not even bother implementing this function. Of course this might be due to the fact that you’re able to continue playing the game on your gamepad when the TV is in use. Co-op on the handheld systems is designed for four players, whilst the console owners only get the chance to play with one friend locally. Only several modes are supported to play co-op and even then they don’t always work properly. Add the fact that your friend is unable to die, it tends to take away a bit of the fun or challenge to play locally with a friend. Your partner will never take damage and thus he will never have to learn the ropes to stay alive. One Piece Unlimited World Red is still in essence a game for the true One Piece fan, seeing the game presents the players with an original story and the necessary story value. That being said, the newcomer to the franchise is still able to enjoy the storyline and might get hooked to the loveable pirate gang. The overall gameplay proves to be simple, yet expansive enough to keep you busy for hours, especially with the Coliseum mode, the side quests and the expansion of the town. All that remains to be said is – YOHOHOHO, YOHOHOHO – set sail for Transtown!